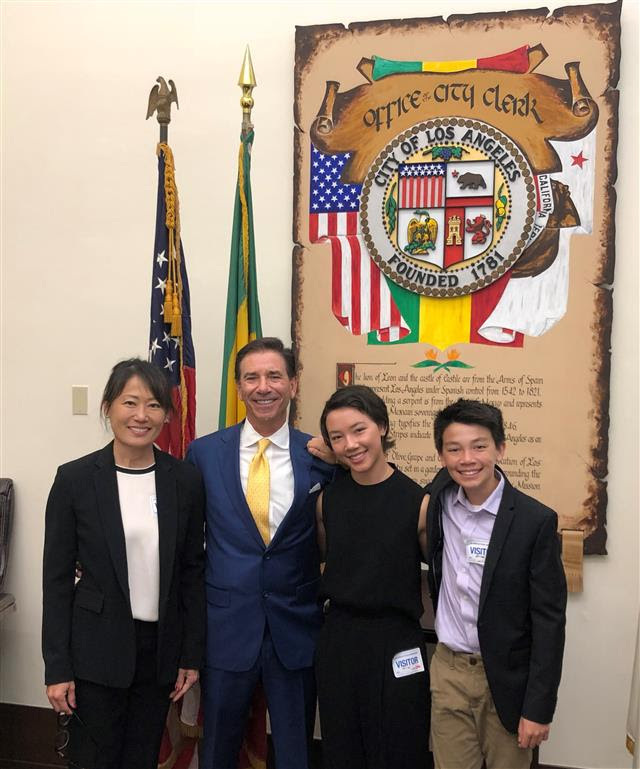 Roxborough, Pomerance, Nye & Adreani is proud to announce that its Co-Managing partner, Nicholas P. Roxborough, was unanimously approved by the Los Angeles City Council as Commissioner for the Los Angeles World Airports. We are proud of Nick’s continued desire to serve the greater good through public service. We therefore proudly share with you the press release issued just yesterday, on this important appointment of Nicholas Roxborough. 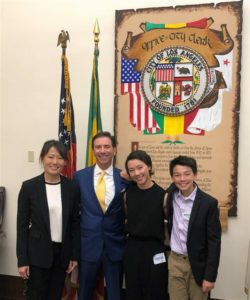 Commissioner Nicholas P. Roxborough (third from the left) is joined by his family and City Councilmembers Cedillo, Bonin, Buscaino and Ryu (left to right) after today’s vote to approve his appointment to the Board of Airport Commissioners. Commissioner Roxborough is a co-managing partner of Roxborough, Pomerance, Nye & Adreani, LLP, a boutique employers’ rights law firm based in Los Angeles. He is a recognized leader in the field of workers’ compensation law. In 2011, he was named one of the top 50 most influential professionals in the California workers’ compensation industry. In 2013, he was voted one of the five most Trusted Legal Advisors in the San Fernando Valley. In 2015, he was named “Defense Lawyer of the Year” at the Comp Laude Annual Awards Ceremony. A longtime advocate of public service and community involvement, Commissioner Roxborough served as chairman of the Board of Governors for United Cerebral Palsy in Southern California from 2012 to 2016, and chairman of the Board of Directors from 2009 through 2012. In 2013, he was appointed to the California Organized Investment Network Advisory Board by then-Insurance Commissioner Dave Jones. Previous to this appointment, Commissioner Roxborough served the City of Los Angeles as a commissioner with the Police Permit Review Panel, and most recently on the El Pueblo de Los Angeles Historical Monument Authority. Commissioner Roxborough has his J.D. from Southwestern University. He is married with four children and lives in the San Fernando Valley. 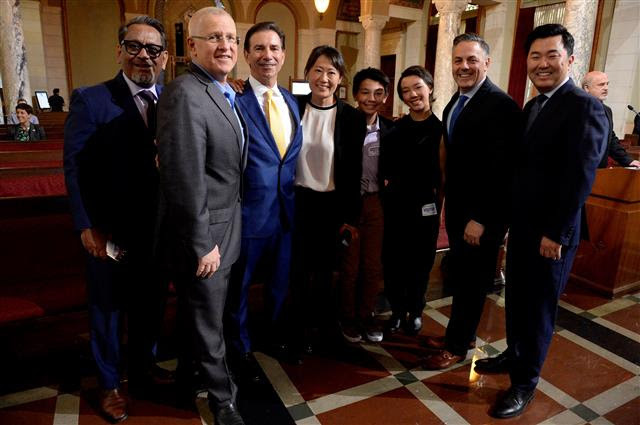 In addition to BOAC President Sean Burton and Commissioner Roxborough, the other five members are: Valeria C. Velasco (Commission Vice President), Gabriel L. Eshaghian, Beatrice C. Hsu, Thomas S. Sayles and Cynthia A. Telles. The regular meetings of the Board of Airport Commissioners are scheduled on the first and third Thursdays of each month at 10 a.m. at the Samuel Greenberg Board Room 107 in the Clifton A. Moore Administration Building at Los Angeles International Airport, 1 World Way, Los Angeles, CA 90045. Meetings with change in day, time or location may be designated as special meetings.